Free Line Nippers with every spool sold! It has scooped multiple awards, landed two British record carp and is popular with anglers across all disciplines. 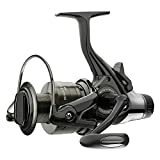 Daiwa New Carp And Coarse Fishing Cross Fire X Rear Drag Reel 3050. 5BB & 1 roller bearing. The Daiwa Cross Fire X Rear Drag is a versatile reel suited to most general-fishing methods – from delicate float work through to feeder fishing on commercial waters. With a smooth, powerful crank and excellent line-lay, the Crossfire X retrieves 80cm per revolution at a gearing ratio of 5.2:1; with a 5 x ball-bearing movement and a further roller-bearing, this reel performs with the dignity one might expect from a far more expensive model. Bringing a more compact design combined with a speedier retrieve the new Opus range still deliver plenty in the power stakes. Hauling up to 111cm per handle turn the 6000 will make short work of the big casts that it can deliver. However the 5000 is not far behind with an impressive crank rate of near 95cm. Both models will pack a maximum drag of 15kg when needed. 12′, 3lb test curve, 2 section. Brand new in the Daiwa series – the Phantom Carp, as with the the Daiwa Black Widow range, comes with a strong backbone and progressive tip action. Titanium oxide double leg guides and black matte finish perfectly complete the rod. “Is it the carp or the carp fisherman that has been caught?” This question was found on a carp fishing internet site based on the truth that many people in Europe are getting “hooked” on carp angling. These kinds of fishermen wind up in a fierce struggle with the cautious and challenging monster carp for several days at a time as they aim to outsmart the so-called “Queen of Rivers.” That said, it is vital for the sensible carp fisherman put down some money on top-quality carp fishing tackle which has the speed and ability required for successful outings. I should mention that as the carp fishing market has taken root, there have been considerable advancements and changes in carp fishing tackle for the past 10 years. That’s the purpose behind a top-of-the line product called the Tournament Linear S BR Reel made by Daiwa, a brand synonymous with the highest quality. Daiwa’s Tournament Linear S BR Reel isn’t merely an advanced variation of the Tournament reels line but an outstanding fishing tackle which features an unique yet sophisticated overall look which is guaranteed to earn your recognition. It uses a positive BR system that has an accessible tension adjuster able to produce a fast, accurate retrieve. It is an elite long distance tackle that retrieves up to 89cm for every turn of the handle. 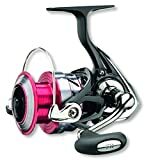 Simply outstanding, it offers among the best reel gear ratios ever developed by Daiwa. It features a spring-loaded front drag with 6 washers and micro adjustment for the most precise and accurate control possible. Furthermore, it’s got an improved patented line clip situated inside an appealing spool skirt. Daiwa’s Tournament Linear S BR Reel is the ultimate carp fishing tackle, built with the most up-to-date in Daiwa know-how and creativity. It’s got the Digigear (digital gear) design, a mixture of marine bronze gear and alloy drive gear for added strength and velocity. Moreover, it even offers Twistbuster, a technique that stops the fishing line from getting twisted or tangled. It even comes with the Air Bail inventive design which also diminishes the twisting up of a free line. The Air Bail possesses a very stiff hollow tubular-shaped lightweight bail. The Infinite Anti Reverse engineering enables backplay handle motion with reduced reel shock. 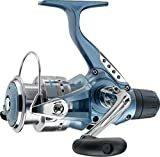 Its geared down ratio that is a longer spool stroke in connection with a far more diminished spool size enables greater power conversion. Furthermore, it carries a worm gear oscillation style so that it is feasible for compact reels to go after larger fish. Last but not least, it features a double easy-grip handle plus an enhanced line clip. Spare spools are included in the purchase of this wonderful equipment. The coveted “once in a lifetime carp” can only be caught if you use the best carp fishing tackle in the industry. So don’t settle for anything less! 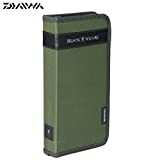 Select only from Daiwa. The carp might run, but it really can’t ever get away with Daiwa’s Tournament Linear S BR Reel. I have been fishing since i was 9 years old and nothing relaxes me more. To get the best deals on carp fishing tackle in the UK i happily suggest KeensTackleandguns. Their friendly staff are incredibly well informed and are always exceptionally helpful. Check out their online fishing tackle store for more information or call 01656 722448.
speaks to you through much of the week this week. The first product was a Diawa Entoh carp reel. The second team this week is the Shimano Tribal Etreme carp rod.